Congratulations to our Debate team on an impressive finish to the season. Both of our LD entries advanced to elimination rounds! Senior Claire Hoffa advanced to the quarter final round in Lincoln Douglas at the 2016 MSHSL State Debate Tournament. Teammate Sophie Ober advanced to the semi final round in Lincoln Douglas, finishing in the top 4 at the State Tournament! Way to go! 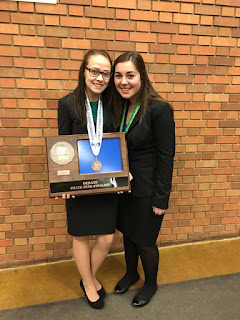 For the second year in a row, the Apple Valley Debate team is awarded the MDTA (Minnesota Debate Teacher's Association) Challenge Cup for excellence in Lincoln Douglas Debate. This is a traveling trophy that recognizes exceptional performance by a team in each of the debate categories. Points are accumulated by the total success of individual members throughout the debate season. In addition, the MDTA announced the All-State Debate awards to the top eight individuals in each debate category. With thousands of students participating in debate statewide, the MDTA All-State Debate awards represents a highly select group of individuals across the state. 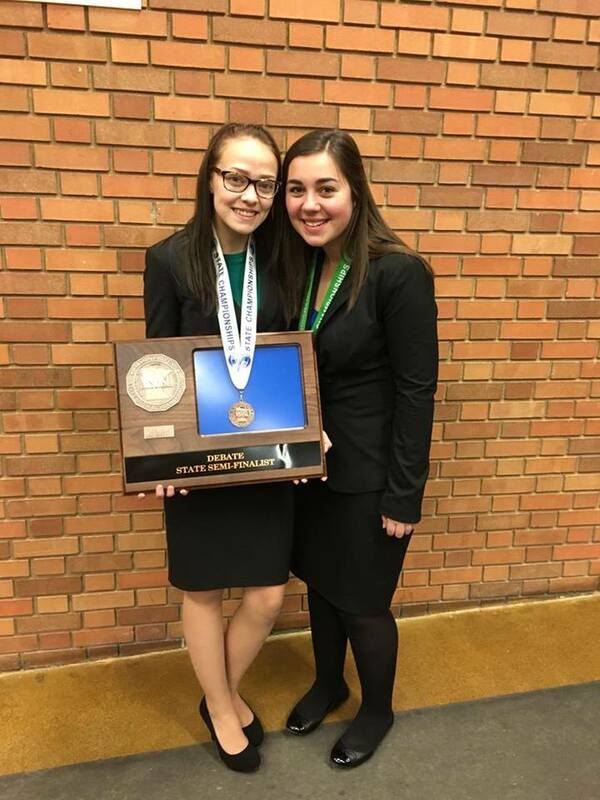 Congratulations to senior Sophie Ober who was named as one of the top 8 Lincoln Douglas debaters in the state of Minnesota and received the prestigious MDTA All-State Debate award.